Listen to a recorded phone call, answer a simple question with the click of a button, and earn real money. Have you ever called a company and heard the operator say "this call is being recorded?" Well, that's us! Why should you join Humanatic? CREATE YOUR OWN SCHEDULE AND MAKE AS LITTLE OR AS MUCH AS YOU CHOOSE. When you first start, you are given access to the two easiest categories of calls. As you advance, you will unlock new categories which will provide more opportunities to earn. HUMANATIC IS FREE AND SIMPLE. We will never charge you anything. We will pay you weekly! WE HAVE OVER 150,000 USERS AROUND THE WORLD JUST LIKE YOU. Our users are made up of people from all walks of life who are logging on every day to earn money from their computer, tablet, or phone. First you will need a verified PayPal account. 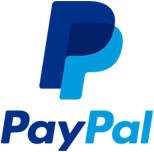 PayPal is used worldwide in order to keep financial information safe. It provides a safe and effective way to transfer money! Log on to PayPal.com and sign up for your free account now! Check for PayPal availability in your country here: PayPal Options. Once you have a verified PayPal address, you can apply for an account in Humanatic!